Have you ever wondered why there seems to be a million books written about “How to run a successful landscaping business”, and only a handful written on “How to run a successful piano teaching business? It’s because most people believe teaching piano is a hobby, not a business! Of course, most people haven’t read “Piano Hands”. Because if they had, they would know our story… and how our innovative teaching strategies and our business savvy helped us build a 300-student studio in 3 years. Click here to preview of Piano Hands Shouldn’t Flip Burgers. If you like what you see, click the Buy Now button below to get your copy today. We could show you exactly how to do it! Now most likely operating a 300 student music is not what you had in mind. Maybe 30 students is enough. In fact, 30 students is fantastic. 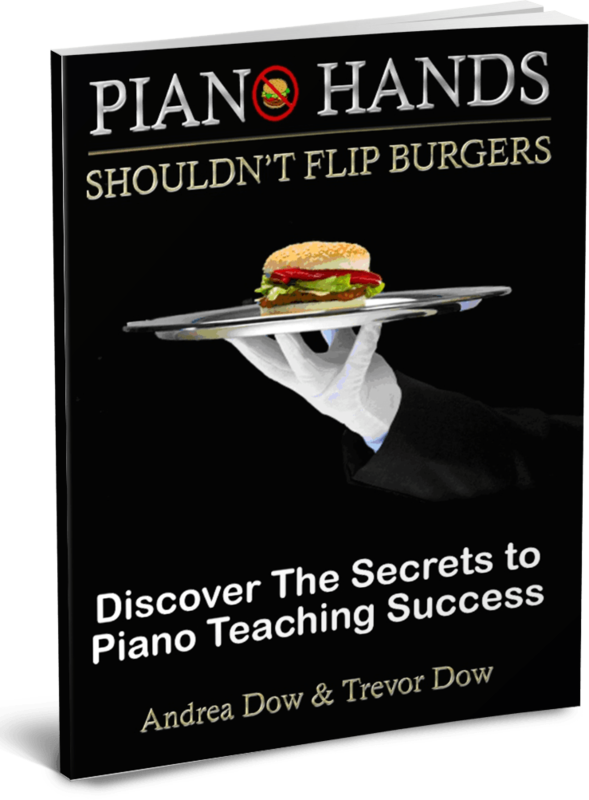 Since the launch of our piano teacher’s guide, Piano Hands Shouldn’t Flip Burgers, over 3 years ago, we have helped thousands of teachers grow their piano studios fast! They were piano teachers just like you. Some were starting out. Some were veterans. Some had relocated to new towns. But all wanted to teach piano to more kids! Building great piano studios is what we do. In fact, we grew our own music school from 30 students to 300 in a little over 3 years. We’re not bragging, we just want to make it very clear that, like the title of our book says, Piano Hands Shouldn’t Flip Burgers!